Carlo Mattogno: The Einsatzgruppen in the Occupied Eastern Territories—Genesis, Responsibilities and Activities. Translation has been complete for a while as well as the first edit. This is the final edit. When this is done, IT IS TRULY DONE. 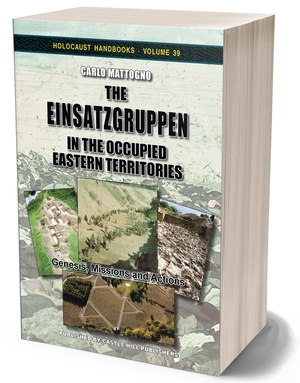 Werd wrote: Carlo Mattogno: The Einsatzgruppen in the Occupied Eastern Territories—Genesis, Responsibilities and Activities. No doubt you've donated a few bucks to CODOH to help with the expenses. Thanks for the reminder, Mod! ..... I'm about due to toss a couple coins in. Jürgen Graf: Auschwitz: Confessions and Testimonies—A Critical Analysis. Carlo Mattogno: Auschwitz: Deliveries of Coke, Wood and Zyklon B—Neither Proof Nor Trace for the Holocaust. Carlo Mattogno: The Einsatzgruppen in the Occupied Eastern Territories—Genesis, Missions and Actions. On 22 June 1941, National-Socialist Germany set out to destroy what it saw as a menace to the world: Judeo-Bolshevism in its most threatening manifestation, the Soviet Union. As the German Army marched east, certain special units called Einsatzgruppen (task forces) were deployed behind the front. Mainstream historians maintain that their primary task was to exterminate as many Jews as possible. At war’s end, the Einsatzgruppen’s death toll and that of associated units is said to have amounted to some 1.5 to 3 million Jewish civilians, depending on which historian you happen to hear. The present study takes a critical look at the Einsatzgruppen’s activities and missions. While many authentic documents exist attesting to mass executions of Jews in the temporarily German-occupied Soviet territories, the accuracy of the data contained in them is questionable, as even mainstream scholars admit. The present book tries to uncover what really happened to the Jews who lived in, or were deported into, the temporarily German-occupied territories of the Soviet Union. It first shows that the Einsatzgruppen were not simple killing units but had a broad variety of responsibilities. It then establishes that there is not a shred of evidence indicating that these units ever received orders to commit wholesale slaughter of Jews. In fact, there is abundant evidence refuting such a claim. The extant documentation instead points to the Jews having been targeted by the Germans as the fertile breeding ground of Bolshevism, hence as a convenient scapegoat for the atrocious way the Soviets waged this war. Next, and unlike all other works published so far on this topic, the author analyzes with a critical mind and a common-sense approach the information we have about the Einsatzgruppen’s killings as well as the claimed attempts of German units to erase the traces of these crimes in what has been dubbed “Aktion 1005”: the exhumation and incineration of the murdered victims in 1943/1944. Almost everything known about “Aktion 1005” stems from Soviet investigations conducted after the Germans’ retreat. Their witness testimonies and forensic expert reports, however, reek of atrocity propaganda marked by absurdly impossible and often contradictory claims. The only way of determining any more about what really happened would be the forensic examination, by independent researchers, of the physical traces left behind. Unfortunately, such research has been prevented by the powers that be. I would like to know whether it could be possible to buy this Handbook in pdf format. I live in Brazil and, due to new import rules, packages from foreign countries are difficult to manage beside extra taxes applied. I recently had a lot of difficulties to receive a little book sent by registered mail from France. A one shoot link could be sent by mail after payment for that purpose. Zulu wrote: I would like to know whether it could be possible to buy this Handbook in pdf format. The full book can be read here, free of charge. Thanks, is it possible to send some money to Mattogno by Paypal? Why not just buy the book? Publicly displayed info. on a possible PayPal account could be used to have that account shut down. PayPal is notorious for banning free speech activists and views which do not coincide with demands of "The Usual Enemies of Free Speech". Zulu wrote: Thanks, is it possible to send some money to Mattogno by Paypal? I highly doubt it for two reasons. 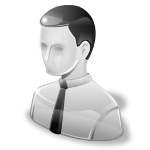 Number one, Mattogno is like the Loch Ness Monster; he is secretive and difficult to contact. Which is why (((they))) haven't 'taken care of him' yet. Number two, like the Moderator said, PayPal would likely give you the boot. Nothing is preventing anyone from sending money through codoh in terms of a donation. Read this link please. I'm sure Rudolf handles some of the money, of which he can pay translators and authors for their troubles. If we want to show our monetary appreciation for what they do, it is easy. Just follow the links and information. Werd wrote: Nothing is preventing anyone from sending money through codoh in terms of a donation. Read this link please. 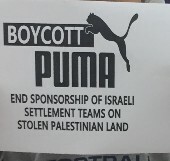 After all, CODOH doesn't have access to the US treasury (and all western treasuries) as does "The Holocaust Industry".